Timbavati Private Game reserve is a 53 000 hectare reserve which sits on the western boundary of the Kruger National Park. It boasts an astonishing game diversity and also offers the opportunity for nature lovers to see the much sought after Big 5. The White Lions of the Timbavati… The Reserve was founded in the 1950’s when conservationists decided to transform failed farmland into a private game reserve. This incredible success story continued with the dropping of the fences between the private reserve and the famous Kruger National Park to allow the area to form part of a much larger sanctuary. 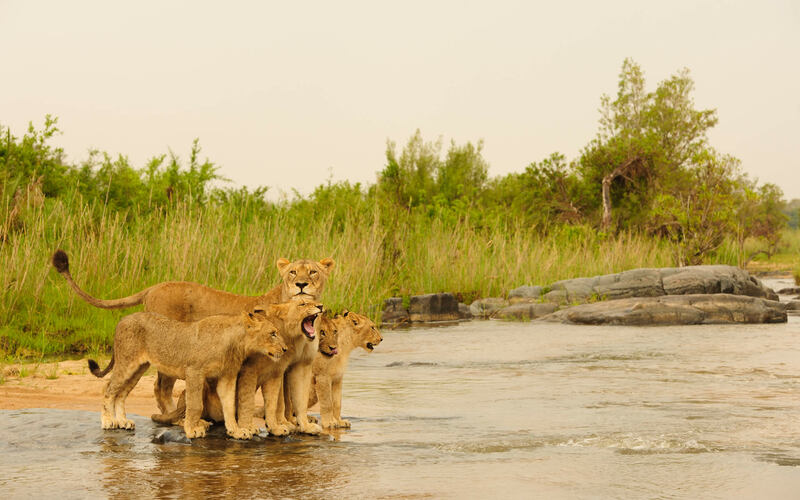 It was however the White Lions of the Timbavati that shot this reserve into world acclaim in the 1970’s, as people clambered from around the world to visit it in the hope of a glimpse of these rare animals. 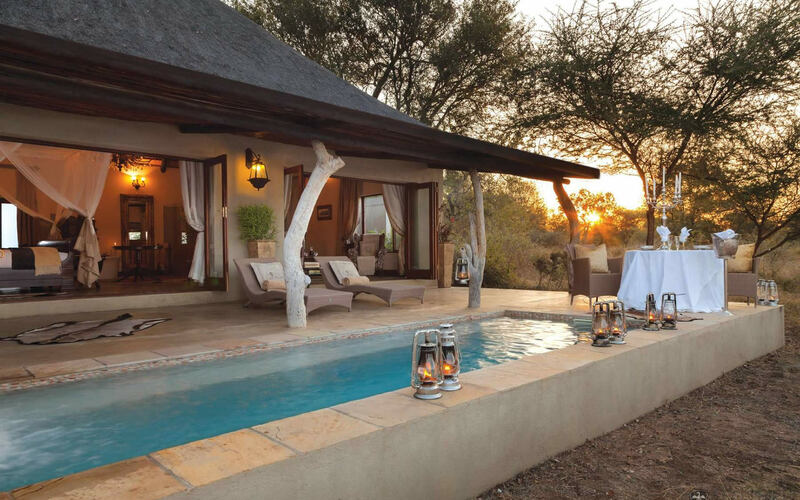 Timbavati Private Game reserve is a 53 000 hectare reserve which sits on the western boundary of the Kruger National Park and in turn is flanked by the Thornybush Private Reserve adjacent to its western boundary. The Timbavati “bushveld” is characterised by a mixture of woodland and grassland. This fauna can support astonishing game diversity and also offers the opportunity for nature lovers to see the much sought after big 5. Timbavati Private Game Reserve is easily accessible by road but is more than half a day’s drive from Johannesburg. Iconic Africa recommends an easy 1 hour flight into the local airport of Hoedspruit which is a short distance from the reserve. If you are flying from Cape Town then a 3 hour flight into Kruger Mpumulanga International Airport (KMIA) in Nelspruit or Skukuza Airport (SA) can then be linked onto a short charter flight into the Hoedspruit airport. Both KMIA and SA are small airports tailored specifically for tourism and the transition through these airports is simple. KMIA also allows you the option post your safari to fly directly off to the tropical beaches of Mozambique – an incredible all round holiday. Simply ask one of our expert consultants to tailor this package for you. The Private Reserve means that all safari game drives will be expertly driven and lead by experienced rangers and trackers. This is essential if you are to get the most out of your safari experience. Your day will start at the crack of dawn when, bleary eyed, you head out in search of the ever elusive cats. The predators are more active during the early cooler mornings and late afternoons and as such these times provide the best opportunity for fantastic game viewing. Timbavati Private Game Reserve also ensures a further improved safari experience as the 4×4 game vehicles are permitted to “off-road drive” to get a closer look at the more scarce animals. The rangers will also take you on spotlit night drives, and for those craving some exercise, guided walks. These are ideal for nature lovers who want to also focus on the little things nature has to offer like flowers, birds and insects. The African bushveld is spectacular all year round. Each season bringing with it special experiences which cannot be seen at other times of the year. The dry, winter season runs from May to September when temperatures drop to their lowest (still around 25 to 30 Degrees Celsius during the day) and the game viewing hours are thus easiest. The summer rains begin around October and as the rains approach so do the stunning migrant birds and imminent birthing lambs and foals. The bushveld transforms into a hive of activity for predators and young herbivores alike and a lush green hue embraces the whole reserve. There are varying options for accommodation within The Timbavati Reserve. Iconic Africa has picked the exclusive lodges of Kings Camp and Ngala Tented Camp as our ideal options in the Timbavati. These luxury safari lodges offer a combination of African indulgence as well as fantastic game viewing and cannot be topped as an overall luxury safari experience. The magic of an African safari is indescribable. To share this experience with your loved ones, away from the distraction of “life” strengthens your bond and forges unforgettable memories for life. There can be no greater vacation for you and your family or for a romantic get-away than a luxury safari. If you are unsure where to begin simply contact one of our Expert African safari consultants now and let us start your journey of a lifetime. Nestled under the weeping boer-bean, leadwood, tamboti and jackalberry trees, rests a slice of South African paradise. Located in the world renowned Timbavati Private Nature Reserve, this is the ideal destination for families and group vacations. Sharing an unfenced border with Kruger National Park, this charming hideaway offers spectacular game viewing making sighting one of the Big Five is a usual experience and tracking wild dogs and white lions an added bonus! &Beyond Ngala Safari Camp is the essence of pioneering Kruger history combined with sumptuous luxury in a family friendly environment. Ngala is 15 000 hectares (35 000 acres) of exclusive Kruger National Park. Tracking a white rhino, through the summer grass on a golden misty morning allows the African wilderness to restore your soul. Scrumptious pan-African cuisine tantalises your palate on the deck overlooking the camp waterhole or in the boma suspended under the Milky Way’s heavenly canopy. 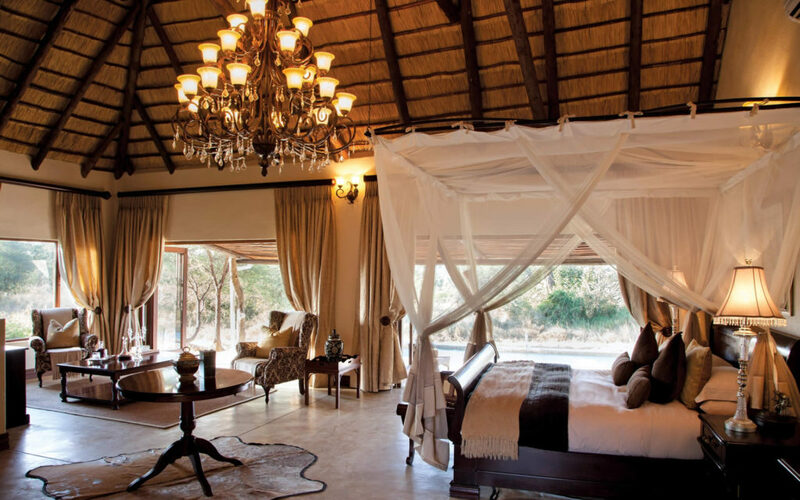 &Beyond Ngala Tented Camp nestles on the banks of the iconic Timbavati River in the world famous Kruger National Park. The tents offer the ultimate in luxury and wilderness entanglement – while you live in sumptuous, air-conditioned comfort, the sounds and smells of the bush filtering through the canvas and immerse you in the ancient African wilderness. Ngala is one of the last sanctuaries in the Kruger – 15 000ha of liberated and exclusive Africa waiting to be explored.